Fostering Partnerships for Sustainable Habitat. 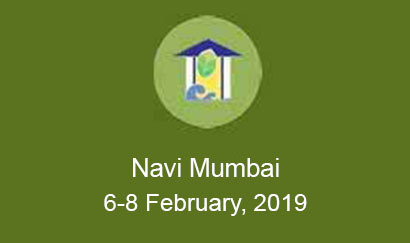 The collaborative efforts of GRIHA Council, University of New South Wales (UNSW), Australia, Bureau of Energy Efficiency (BEE), and Deutsche Gesellschaft für Internationale Zusammenarbeit (GIZ) was in synchronization with the criticality of education and research for linking social, economic, political and environmental concerns as crucial aspects of sustainable development. 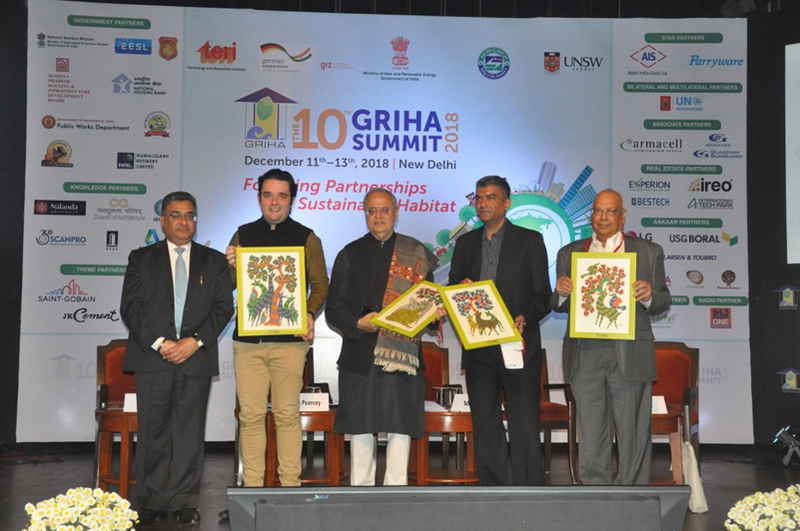 The 10th GRIHA Summit with the theme “Fostering Partnerships for Sustainable Habitat” served as a platform to deliberate on interdependence between organizations, systemic sustainability management, and feedback loops for better resource efficiency. 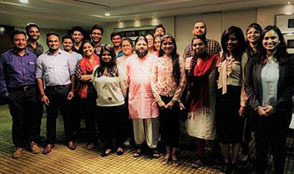 The summit was held on 11th –13th December, 2018 at New Delhi. Eminent speakers and dignitaries around the world were gathered to debate, discuss and deliberate on the aspects of sustainability in the context of inclusiveness, international cooperation and education. GRIHA Council signed a Memorandum of Understanding (MoU) with Global Association for Corporate Services (GACS) on December 10, 2018, for promotion and implementation of GRIHA. The MoU was signed by Mr. Sameer Saxena, MRICS, General Secretary, PWD, and Shri Sanjay Seth, Chief Executive Officer, GRIHA Council. GRIHA Council signed a Memorandum of Understanding (MoU) with Public Works Department (PWD), Government of Maharashtra (GoM) on December 11, 2018, encouraging all the existing government and semi-government buildings to be GRIHA rated under the GRIHA EB (existing building) variant. The MoU was signed by Shri Ajit Sagane, Secretary (Works), PWD, GoM and Shri Sanjay Seth, Chief Executive Officer, GRIHA Council. 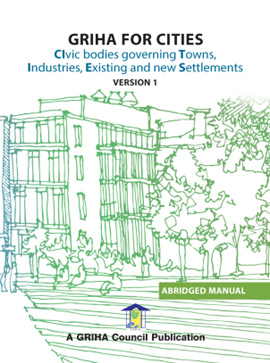 GRIHA for CITIES’ rating was launched on December 10, 2018 as a framework for sustainable development of a city, to be achieved by measuring ‘greenness’ of existing as well as proposed cities . Qualitative and quantitative criteria have been integrated in the rating to cover diverse aspects of sustainable development. The rating sets performance benchmarks for key resources such as energy, water and waste; and evaluates the project’s performance in areas such as smart governance, social wellbeing, and transportation . 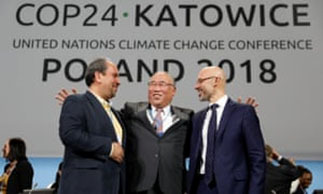 The rating is in synchronization with the work being done to achieve targets of Sustainable Development Goals, UNFCCC. Furthermore, specifically the work being done in the country through MoHUA’s Liveability Index, Ease of Living Index and smart cities initiatives. 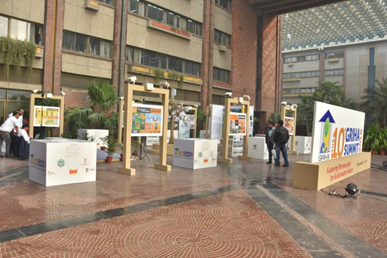 Along, the side lines of the summit an exhibition "AAKAAR – Reshaping self for sustainable future" was setup to provide a platform for the users and industry to experience various tools and technologies available in the building industry in taking informed decisions for various choices in built environment. Augmented and Virtual Reality tools help enhance the user experiences and assist them in selecting materials or any other systems on the basis of their virtual experiences resulting in saving of capital costs. These tools along with sustainability one on one ideas and technologies are being displayed to assist the users understand the affordable nature of sustainable lifestyle." 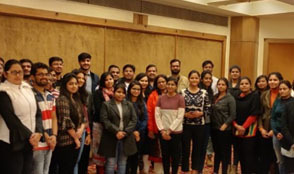 As a prelude to the 10th GRIHA Summit, a one-day mud workshop was conducted on December 1, 2018 with intent of providing participants with the knowledge needed to evoke their sensibility towards the benefits of using mud in construction. The workshop commenced with a presentation by Ar. Revathi Kamath explaining some facts and properties of mud as a sustainable building material. She also shared her experience of working in mud architecture. Ar. Kamath also showcased some case studies of project where she was involved. The presentation was followed by a hands-on workshop, where the participants were given the opportunity to make mud stabilized bricks using four types of mud. 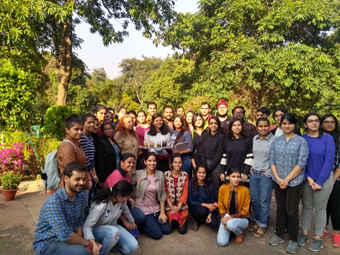 As a prelude to the 10th GRIHA Summit, GRIHA Council had organized a 'green building tour' to a Five Star GRIHA certified school in New Delhi on 8th December 2018. The tour demonstrated the green innovations that have been incorporated in the building design. 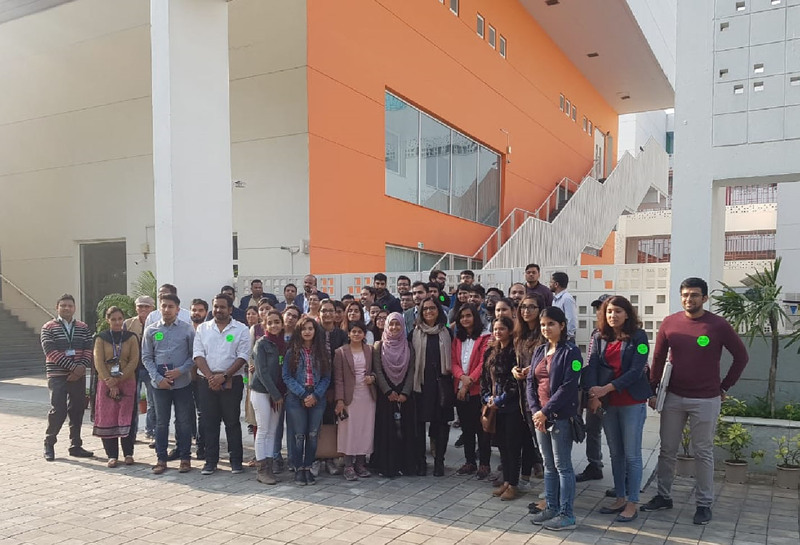 It was an exciting opportunity to explore green buildings and help create awareness about the importance of going green. Delegates were able to familiarize themselves with various green building strategies integrated in the school as a case study for their reference. The site visit helped to disseminate knowledge and create awareness on sustainable habitat.